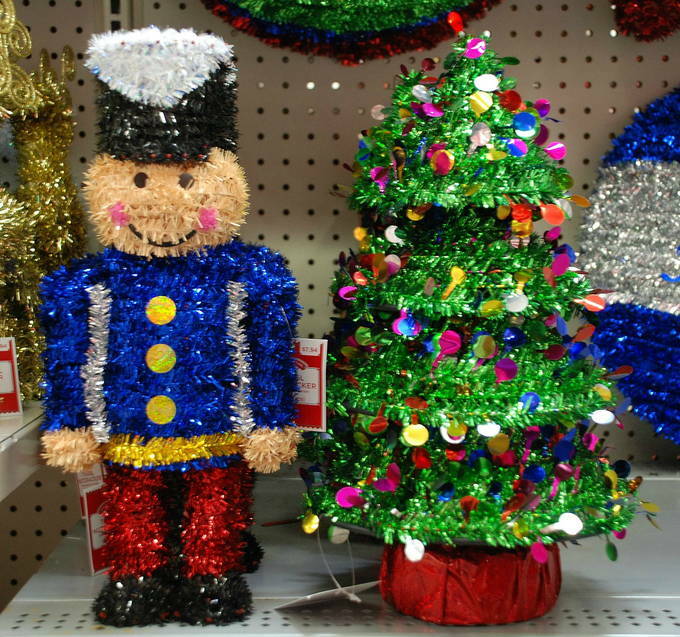 I was super excited to see these new Christmas decor items – so many sparkly and cute things. Gotta have a door greeter – for every door, right? Kids can move Santa’s magnetic present to mark the days until Christmas. 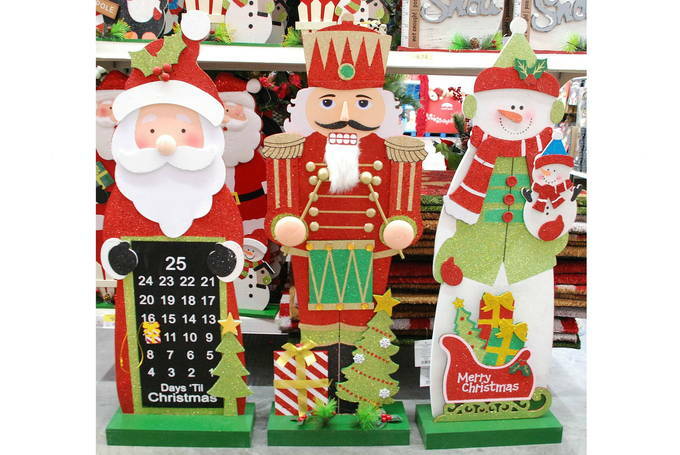 These were about 2½ feet tall. One snowman had a yardstick to measure the snow. OMW(ord) – soooo cute! 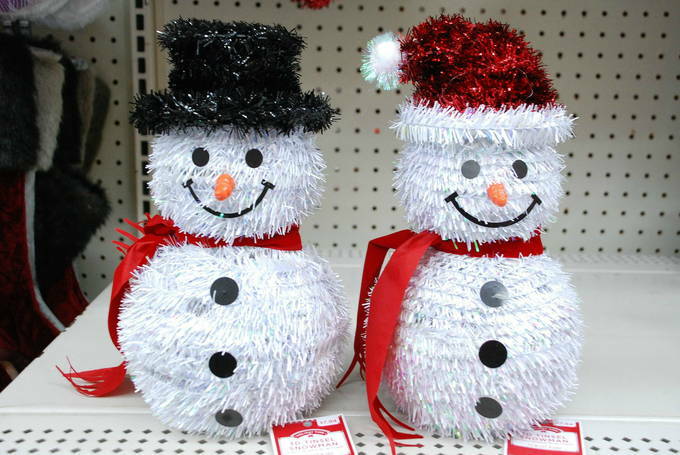 I fell in love with two little sparkly tinsel snowmen. They make me happy every time I look at them – such big smiles. I thought these two little friends belonged together. They were about a foot tall. 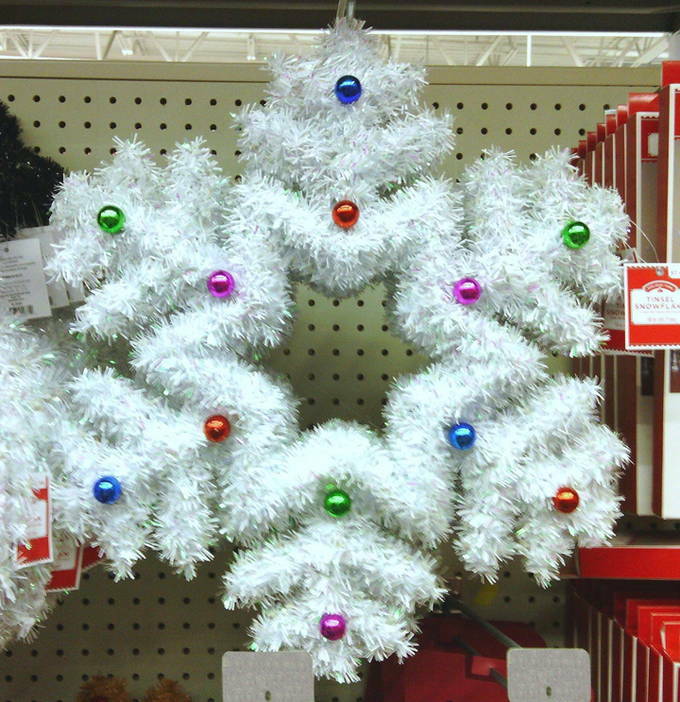 The bulbs in this snowflake wreath are colorful and bright. This caught my attention – you can see it pretty far away. It’s 1½ feet wide. 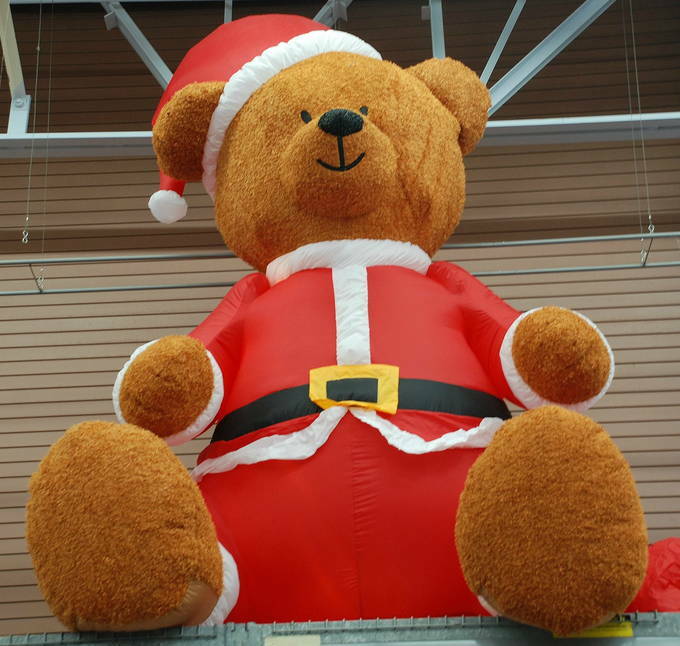 I couldn’t get over this gigantic inflatable teddy bear. This big guy is a whopping 9 feet tall. He doesn’t have a smooth fabric like most inflatables. But, this bear has a furry texture so he looks like a real teddy. We would love to see him as we’re driving past a house. I can picture my kids wanting to get out and give him a hug. With so many choices for cute decor – it’s tough to decide. « Holiday Cookies – Pretty for a Party?